The past year was a whirlwind, but I was fortunate to make exciting strides in my genealogy. Before I set goals for the year ahead, I'm taking time to pause and reflect on the many accomplishments that broadened and enriched my family history in 2015. I told more stories this year. This is my 40th blog post, which is a 21% increase over the total number of posts I published in 2014. The increased frequency has been good for readership, too, with nearly 5,500 views for my 2015-published posts. I like to think of growing views as more bait in the cousin pond. The more stories I publish and the more viewers I attract, the increased likelihood I'll connect with a cousin who has a coveted piece of my family history puzzle. Several posts resonated with readers and quickly became my most highly-read articles for the year. In February, I laid out all of the facts uncovered to-date to determine a time frame in which my 4th great-grandfather Burr Zelah Dornon died (Narrowing Burr's Window of Death). Using a variety of records, including marriage, land, Civil War pension, and a deed of sale, I was able to narrow his death to nine months between 1862 and 1863. In March, I shared how Facebook connected me with a distant cousin who identified an unknown photo from the 1890s. Facebook Tags Forgotten Ancestor tells the story of laying eyes on my never-before-seen 4th great-grandfather George Chalkley Haworth. 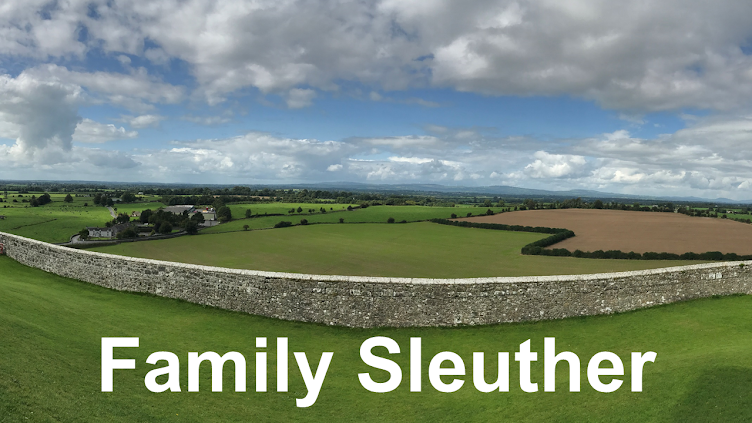 My most popular post this year - or any year - was the final episode of a four part series about discovering a non-paternal event and using DNA and genetic genealogy to identify my paternal great-grandfather. Family Mystery Part IV: DNA Doesn't Lie gave me more than conjecture, rumor, and hunches on which to stake my surname. This was a particularly good year for family history in pictures. I found photographs of seven direct ancestors whom I had never laid eyes on before. It's quite an experience to see - for the first time - seven people who were essential to my existence (ponder that over your morning coffee!). This includes one newly identified great-grandfather (step aside non-paternal event! 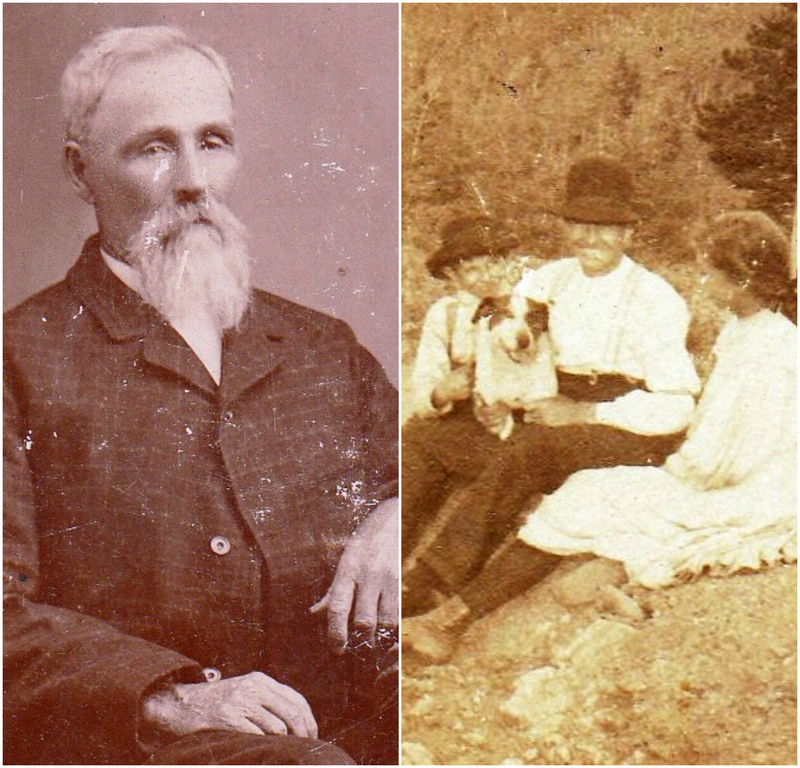 ), two 2nd great-grandparents, one 3rd great-grandfather, and three 4th great-grandparents. In addition to the photo of George Chalkley Haworth mentioned above, you can also read about the discovery of the picture of my 3rd great-grandfather Francis Stephen Lamb in Genealogy's Serendipity. As a cherry on top, I also found a new-to-me photograph of my 2nd great-grandfather John Lumpkins. That makes three known photos of him. All of these photographs came to me from, or were identified with the help of, distant cousins. It's proof that great rewards await genealogists who research collateral lines and stalk connect with their distant kinfolk. Good health is contingent on exercise. You know, getting up from your desk and moving around. Of course, the smart genealogist doesn't leave the research behind. He packs his bags and takes it on the road! In May, I was in Boston for work. No family historian is going to pass up the opportunity to search out ancestors when traveling. I rented a car and drove a couple hours west for a Massachusetts Family History Trek. The trip culminated in visiting the grave of my 10th great-grandfather John Hawks. In October, I spent three amazing weeks traveling the length of Italy. My great-grandmother's parents were born in Potenza, a small city nestled atop lush mountainous hills. A highlight of 2015 was the detour I made from my tourist itinerary to visit Where My Ancestors Walked, including the 11th century church where generations of my family were baptized, married, and laid to rest. I now manage two Facebook family history groups intended to bring distant cousins together to commemorate, research, and enjoy our shared ancestry. The groups have empowered my family to slow the loss of our history, which typically disappears within three generations. Both groups have been very active and hugely popular with members. In fact, one of the Facebook groups brought family together for our first organized reunion in several years (Family Reunions in the Digital Age). The year got off to an extravagant start with my first visit to Salt Lake City to attend the combined RootsTech and Federation of Genealogical Societies conferences. With over 20,000 attendees, nearly 300 sessions, 140 vendors, and a former First Lady, it was a memorable experience. The chief highlight was visiting the Family History Research Library. All genealogists must visit at least once in their lifetime. I was able to sneak away from the conference for afternoon research sessions that uncovered tantalizing bits of my Civil War-era ancestry, including my Poor Guilty Creatures. In an index of Jackson County, Virginia Chancery Court records, I found the name for my 4th great-grandfather Burr Zelah Dornon. My jubilation quickly dissipated when I discovered his record was missing from the microfilm. It took every ounce of maturity I had not to fall to the floor kicking and screaming in a tearful tantrum (please, don't act like genealogists are too mature for that!). For me personally, the greatest accomplishment of 2015 (and to-date in my genealogical endeavors) was busting through a non-paternal event's brick wall and confirming the identity of my paternal great-grandfather (check out the complete series beginning with A Family History Mystery Revealed). Genealogy is about uncovering truth. Sometimes we encounter family who are reluctant to delve into the past. We even run into family who try to recreate history. The longer a lie is told the more real the fabrication seems. Once family members begin to die, there's no one to question and there's little reason to doubt the stories they told. Fortunately, the science of DNA works as a truth serum, an elixir that sheds light on the past and casts aside falsehoods concocted to spare shame or pain. It's this truth that I've valued most in 2015 and it's what I will continue to pursue in 2016. I hope you'll join me for the ride!